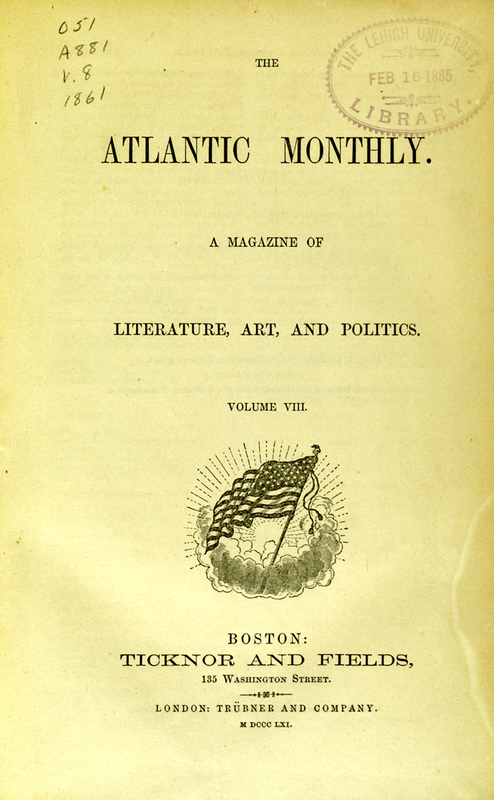 The Atlantic was founded in Boston in 1857 as The Atlantic Monthly. 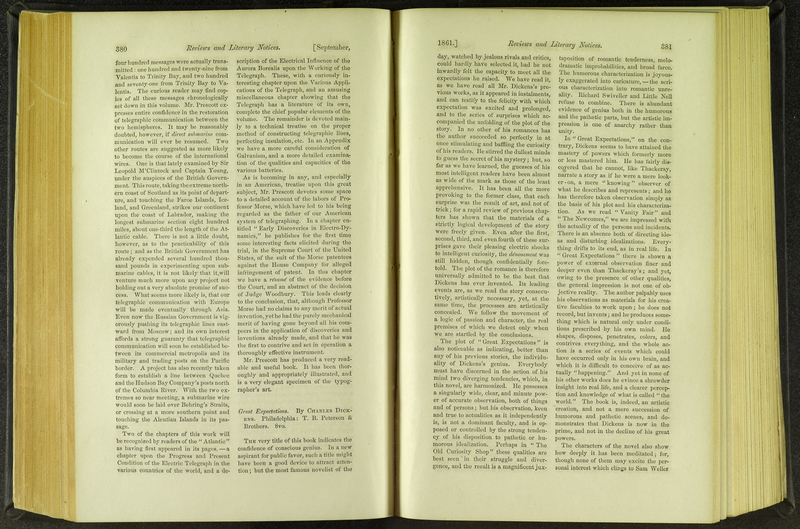 It continued to be known as a New England literary magazine, publishing the writings of many luminaries. 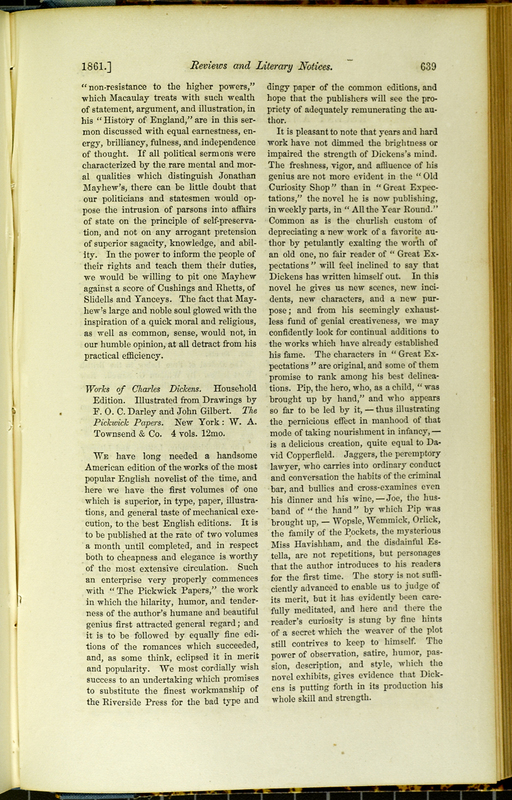 The magazine also published reviews thought to be of interest to the international literary community, including those of Dickens’s novels. "Reviews And Literary Notices: Great Expectations." Atlantic Monthly Volume 8. Issue 47 (1861): 380. "Works Of Charles Dickens." Atlantic Monthly Volume 7. May (1861): 639. "Nathaniel Hawthorne." Atlantic Monthly Volume 5. 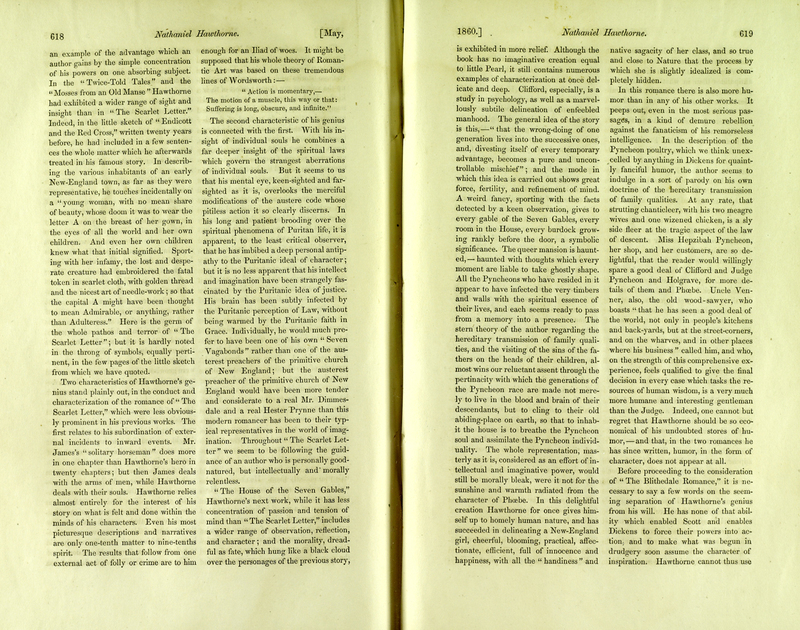 Issue 31(1860): 614.